We study the problem of consistency of equations of continuum dynamics (using the Euler equations and the continuity equation as examples) and thermodynamic equations of state (for the specific free energy, entropy, and volume). We propose a variant of the Hamiltonian formulation of a model that combines the fluid dynamics of a potential flow of a compressible fluid or gas and local equilibrium thermodynamics into a unified field theory. Thermodynamic equations of state appear in this model as second-class constraint equations. As a consistency condition, there arises another second-class constraint requiring that the product of density and temperature should be independent of time. The model provides an in-principle possibility of finding the time dependence of the specific entropy of the arising dynamical system. Original Russian Text © V.P. Pavlov, V.M. 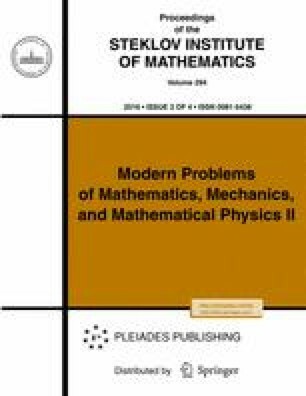 Sergeev, 2016, published in Trudy Matematicheskogo Instituta imeni V.A. Steklova, 2016, Vol. 294, pp. 237–247.